Winsmith specialize in meeting your power transmission needs - whether it's a custom engineered solution or one of our 13 million standard units, our engineering team can respond quickly with a successful solution. Since 1901 Winsmith has been manufacturing quality speed reducers and has built a reputation for engineering excellence with a commitment to quality, service, and technological innovation. 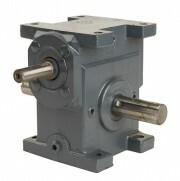 Winsmith offer the broadest line of standard and modified worm gear speed reducers available to industry, as well as other standard and custom gear drive products. The full line of products manufactured by Winsmith includes: single enveloping worm gears, double enveloping worm gears, planetary gearing, helical gears, and spur gears, all in a wide range of standard and custom engineered products. 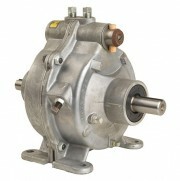 These single speed transmissions consist of a planetary set up driven by a sun gear. There are two reaction clutch bands within the housings. When either one is clamped down by the force of the cam, forward or reverse will then be engaged. The unique dual clutch design allows for instant shift on the fly direction control from forward to reverse, even under a full load, since the input and output shafts are always in constant mesh with each other. The rugged design provides for a prolonged life even in the harshest applications.